Home > AlAnabi Racing > Drag > DragRace > News > NHRA > PDRA > Al Anabi Racing suffers another loss in NHRA as veteran Tutterow dash into semis! 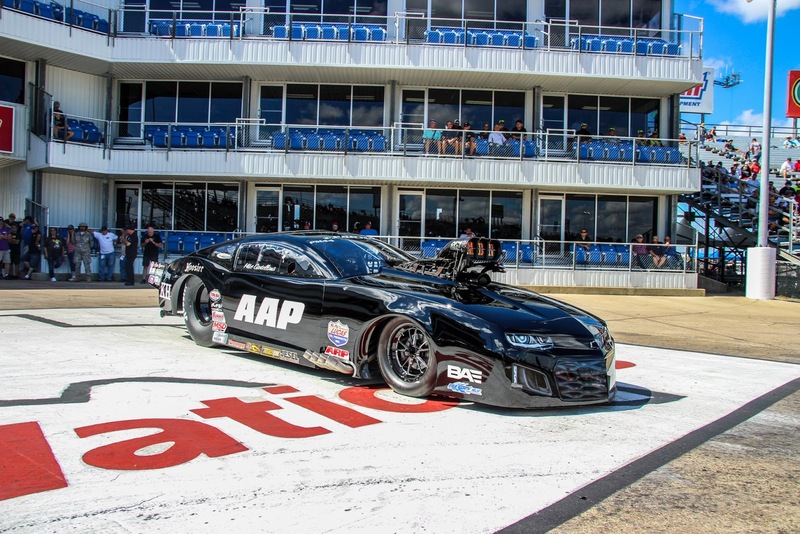 Al Anabi Racing team from Qatar suffered yet another loss at Texas Motorplex failing to turn around bad luck from Midwest Nationals to good runs. Without their top point runners and leaders Mike Janis and Mike Castellana at yet another finals in the NHRA Fallnationals in Texas,Al Anabi must now risk it all and make good use of NHRA Carolina Nationals at zMax Dragway to remain on top of the Pro Mod points table. Todd Tutterow at 2018 NHRA FallNationals,Texas. Jeremy Rey with a first time wally at NHRA FallNationals! 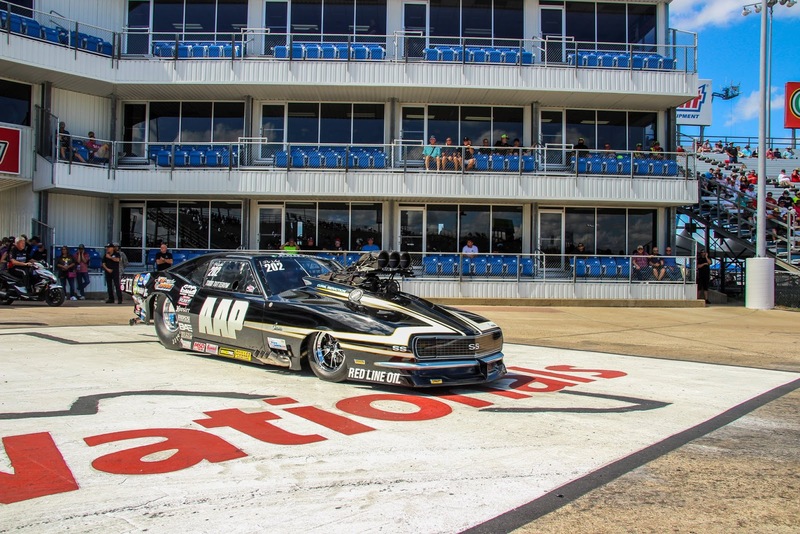 Trouble at the FallsNationals in Texas begun when Mike Janis and Mike Castellana(both team mates in Al Anabi Racing in NHRA this season) found themselves at a familiar territory. Bad weather forecast made sure NHRA pulled the plug on Q3 sighting thunder, lightning, and massive rainfall and went straight into E1 in the category. Mike Castellana (.045) 5.724-252.99 took the win over Mike Janis (.028) 5.850-243.41 as aTodd Tutterow turbo car (-.009) 7.997-119.23 grabs a terrific win over Michael Biehle II (-.020) 5.816-254.57 who was No 1 qualifier. Mike Janis still leads in point (25 points lead) of the NHRA 2018 series and will be heading to Charlotte to better their hopes of winning the championship. Mike Castellana at 2018 NHRA FallNationals,Texas. With Mike Janis (current season point leader)out and loosing essential points to keep him on top of the championship, all eyes turned to Mike Castellana whose efforts would not yield past Sidnei Frigo. Figo registered a better reaction time to beat Castellana leaving Al Anabi team with one man to the semi finals. Todd Tutterow. Todd Tutterow booked his place in the semis with a (.031) 5.841@246.08 win over Rick Hord (.053) 11.551@76.63 to meet Justin Bond. But that would be it as Bond steered (.052) 5.770@255.82 over Todd Tutterow Al Anabi's turbo car (.053) 5.848@245.23 to proceed to the finals. Tutterow hails from North Carolina, and the next race being in his hometown, can he turn around and upset top leaders in point? ''Lost in the Semis but over all a good weekend. ''Stated Tutterow in a social media post. This weekend’s Pro Mod racing, presented by Bruce Lowrie Chevrolet, is the 10th of 12 races this season. Al Anabi Racing is the aftermarket automotive performance leader and currently sponsoring 5 cars at the 2018 NHRA Pro Mod races.